Eugène Atget, who took early images of Paris and its life before Paris become modernized in the late 19th century. Duvert covers an unnamed city (one can presume it's Paris, but who knows?) and in detail writes about that area in a poetic view or prose. One gets the impression that he's a loner observing life as it happens, but not participating in what goes on in front of him. It's a gem of a small book that leaves a large impression on me. I have always been fascinated with writing that deals with a specific space, such as in various writers who were part of, or influenced by Situationists. 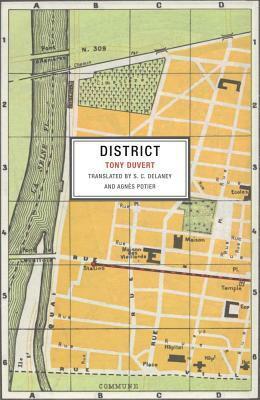 Duvert's "District" can follow that direction of such groupings, but also a touch of the "nouveau roman."